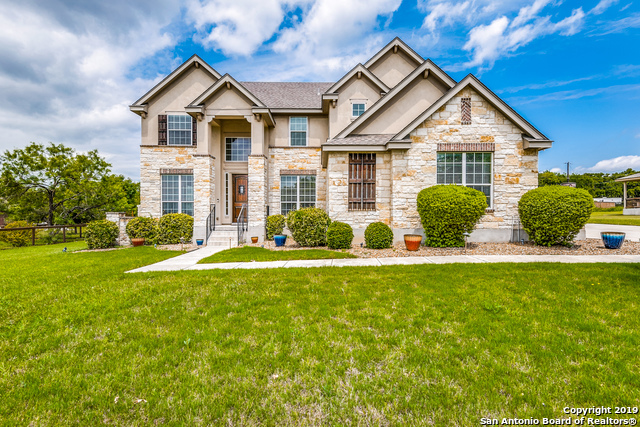 All HEARTHSTONE homes currently listed for sale in Helotes as of 04/20/2019 are shown below. You can change the search criteria at any time by pressing the 'Change Search' button below. "OPEN HOUSE -- SAT & SUN -- 4/12, 12 to 3 -- 4/13, 2 to 5 -- Gorgeous Home & What a Backyard! -- 5 BR/3.5 BA w/ Study, Gameroom & Media Rm -- Lovely .84 Acre Lot w/ Fenced In-Ground Pool, Covered Outdoor Kitchen & Fireplace, Stone Patios & Walkways, Mature Trees, Playscape & Large Shed -- Stunning Island Kitchen w/Glass Front Cabinets, Butlers Pantry & Double Oven -- Central Vacuum -- Light, Bright & Open Throughout with Lots of Windows, High Ceilings, Wrought Iron Railings & Neutral Colors"
"Better than new 5 bedroom, 3 1/2 bath, 3 car side entry garage, on over 3/4 acre. privacy on the sides & wooded area behind. Study, Gameroom, bar, media room, Art niches, Plantation shutters, French Doors, Tile in wet areas, carpet in Media room & gorgeous quality wood throughout. Kitchen has granite counters & island, SS appliances, 42 cabinets, a chef's delight. Back yard is your oasis from the hustle & bustle. sparkling pool, outdoor kitchen, Fire Place, Pavillion, workshop, Amenities List a "
"WOW!!! 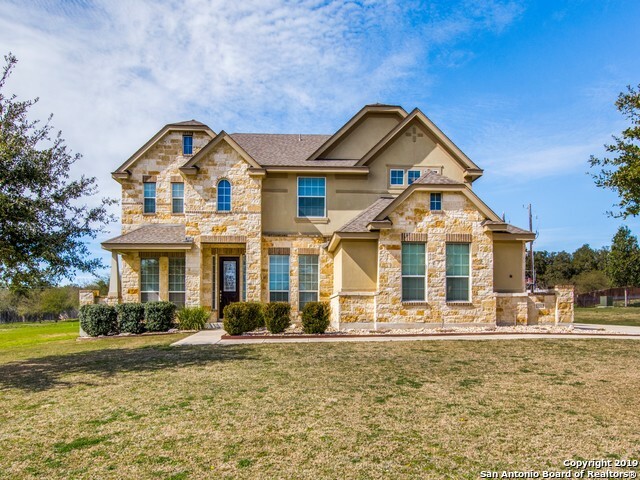 This TEXAS Style Home features a Stunning 6 bedroom 3.5 bath home with gameroom located in beautiful Hearthstone subdivision. Home sits on a Gorgeous .80 acre lot with mature trees. High ceilings, Wood floors, Formal dining, Study/office, Large family room with Fireplace, Huge master bedroom, large hidden Gameroom, Media room & Bar upstairs, Open floor plan, w/ Beautiful Granite counter top kitchen including island. This is a must see!!!" "Gorgeous 3 bedroom 2.5 bath home with a 3 car garage on one of the largest lots (1.11 acres) in Hearthstone. Gourmet island kitchen with granite counters. Large family room with lots of windows and a fireplace. Lovely master bedroom with a gym or sitting area off the master bath.There is an office study with a closet which could be used as a 4th bedroom. Media room located upstairs. Covered patio leading to a large backyard with pipe fencing and a shed. Large garage, plenty of storage and a wate"
"*OPEN HOUSE* SATURDAY APRIL 20TH 12PM - 4PM! SIMPLY STUNNING TWO STORY SITTING ON 3/4 OF AN ACRE W/ 3 CAR GARAGE! CHEFS KITCHEN W/ GORGEOUS GRANITE AND CUSTOM CABINETRY. 8 FT DOORS THROUGHOUT, HANDSOME OFFICE, FAMILY ROOM W/ WOOD BURNING STONE FIREPLACE,BAY WINDOWS, MASTER DOWNSTAIRS W/LUXE MASTER BATHROOM, GAME ROOM, MEDIA ROOM, & IRON ROD STAIR CASE RAILING. PRIVATE RETREAT BACKYARD W/ GREENBELT VIEWS! 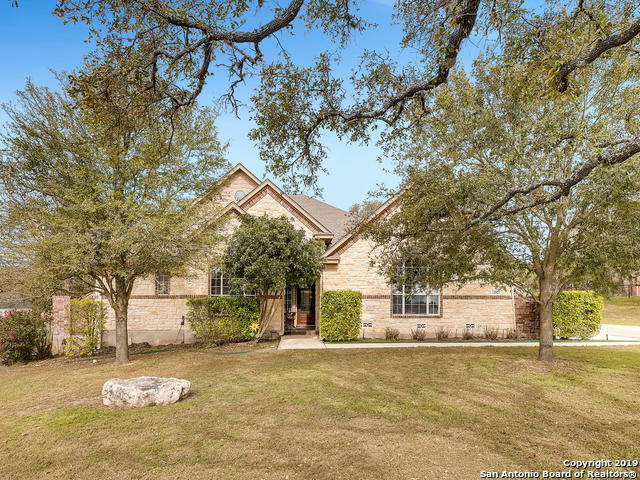 NO CITY TAXES/SECLUDED SUBDIVISION IN HELOTES! COME AND SEE TODAY. RARE FIND"